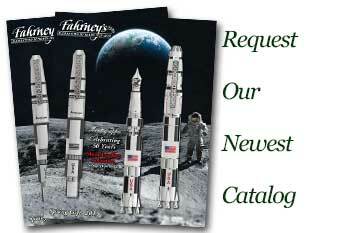 Order your Platinum Lavande 3776 Century Fountain Pen today from FahrneysPens.com. Fine Pens, Refills & Luxurious Gifts – great prices & fast shipping. 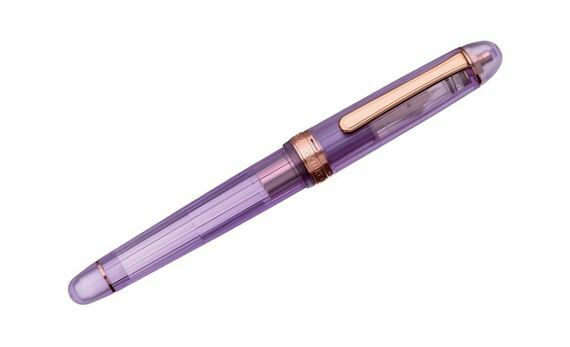 Platinum's new Limited Edition 'Lavande', inspired by lavender flowers, is the latest addition to the #3776 Century 'Nice' Demonstrator series, which has been well received since its launch. Lavande, the French word for lavender, is said to be the 'queen of herbs,' which is highly fragrant and has been prized as a medicinal herb since ancient Roman times for its healing effect. In flower language, lavender denotes 'silence' due to the tranquilizing effect as well as its magically strong scent. As the flower language implies, the Lavande creates a sense of calm, inviting one to breathe deeply into writing, making it unique among other Nice models. Nice is a world-renowned resort and tourist city located in Cote d’Azur in southern France. In early summer, Province region experiences its most beautiful season, with blooming fields of lavender that stretch all the way to the horizon. The light purple lavender flowers, gently blowing in the early summer wind and bathed in soft light, are expressed through a sandblast finish applied on the high transparency resin barrel with cut grooves at precise angles. The Platinum Limited Edition 3776 Century Nice Lavande also features exquisite pink gold metal trim. 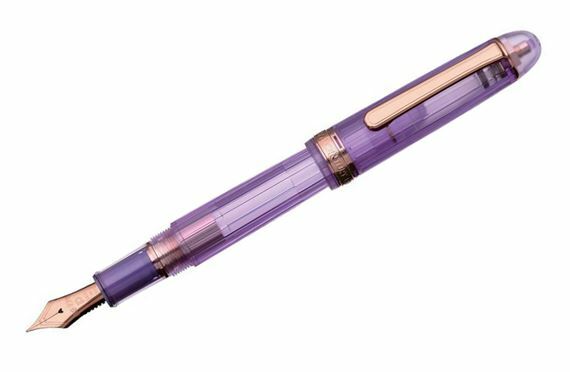 The Nice series features the patented 'Slip and Seal' cap - the unique mechanism rotates each time the pen is opened or closed, making it airtight to protect against evaporation and leaks. The first 3,000 pens include a limited edition blotter card with the pen's serial number. Cartridge/converter fill. Converter included. The design and color are beautiful. The nib writes very much the same as the Platinum Carbon Desk pen I love. The size and weight are good for my hand.